A tip of the electron to boygeniusreport for this one. Last week I blogged about some cool Lego products that are actually electronics. Now we have the ultimate Lego gadget... a Lego mobile phone. 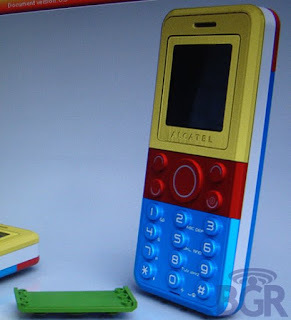 This phone is a partnership between Alcatel and Lego, but very little else is known. Is this a phone for kids or adults? Your guess is as good as mine at this point. However, I think it shows a lot of initiative from the folks at Lego to begin thinking about what their brand means to adults (like me) who have fond memories of making all kinds of things out of Lego bricks. If/when I can find more information, I'll be posting it here. You can count on that.